Part of Sweden since the 12th Century, Finland became part of Russia after the Swedes lost the Finnish war in 1809. The Russians allowed the country quite a bit of autonomy until 1899 when they attempted to “russify” the Finnish people. This created ill-will on the part of the citizens of Finland, and in the chaotic aftermath of WWI, Finland declared itself independent. A short but bitter civil war followed, before the country became a presidential republic. Unrest continued between Russia and Finland for nearly twenty years until it erupted into the Winter War in 1939. 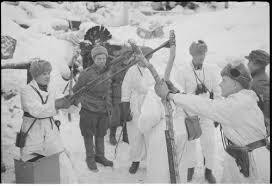 The war raged for months with the Finnish troops holding off Stalin’s soldiers much longer than expected. Ultimately, the Russians were able to defeat the Finns and as a result received much more territory than originally demanded in the Moscow Peace Treaty. Resentment toward the Russians continued to build, and when Germany invaded Russia in 1941, Finland came to her aid as part of Operation Barbarossa. Finland had mixed relations with the Allies, indicating that Finland fought beside Germany against the Soviet Union to protect itself. Many countries understood the need for Finland to do whatever it could to protect her citizens. 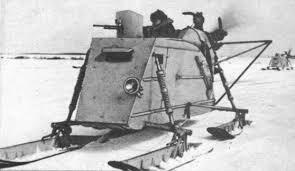 Others maintained that by allowing German aircraft to use airfields in northern Finland made them no better than any of the Axis combatants. By 1943, Finland sought a way out of the war and formed a new cabinet that instigated negotiations for peace with the Allies and the Russians. The Finnish government felt that Russian demands were once again unrealistic and broke off discussions in early 1944. 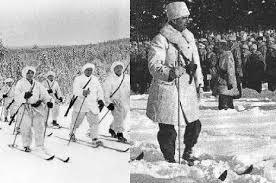 Finland then fought against the retreating Germans, but by war’s end were charged reparations for the Soviet Union. Mystery Monday: Who is Helen McCloy?